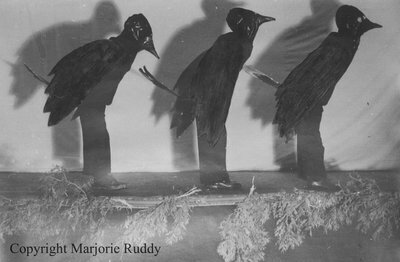 A black and white negative of three people wearing crow costumes on stage during a concert at the Whitby United Church on May 3, 1938. Concert At Whitby United Church, May 3, 1938, Marjorie Ruddy. Whitby Archives A2013_040_979.